December is a wonderful (and popular) time to visit New York City. Visitors flock to New York City to do their holiday shopping, to experience the city's amazing sights and shows (the Rockettes, anyone? ), and to experience firsthand the stunning decorations that turn New York City into a holiday wonderland, from the tree at Rockefeller Center to the decorations in Dyker Heights, Brooklyn. Of course, the month ends with the New Year's Eve countdown and ball drop in Times Square. With proper preparation, it can be a memorable and magical time to visit. New York City is a great place to do your holiday shopping. The city's many holiday markets are great places to buy interesting gifts for just about anyone on your holiday shopping list—and they've become well curated over the years, so there are lots of local and handmade goods available. More can't miss sights are the holiday window displays and the ice skating rink at Rockefeller Center. On the flip side, hotel prices and airfares are high, as this is peak travel time to the city. And while you can get lucky, the truth is the weather is unpredictable. While you can experience milder weather, the weather can be quite cold. 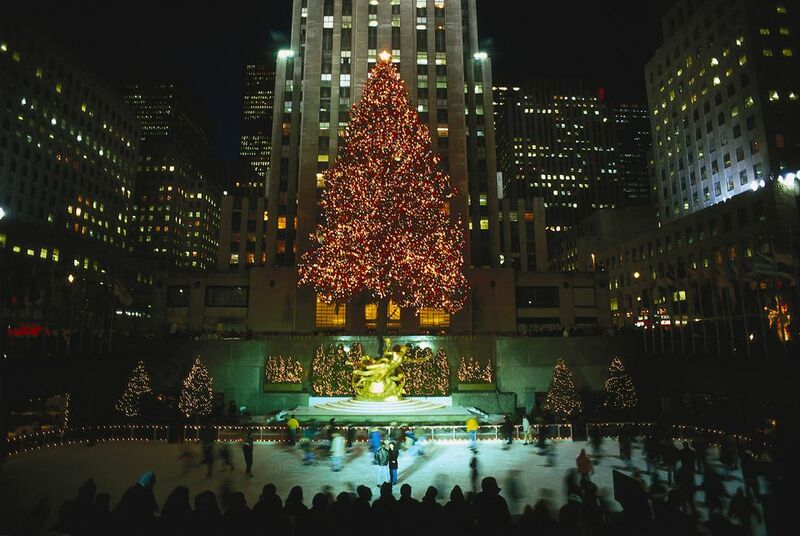 Don't let the cold weather keep you from seeing all of New York City's great December sights. As long as you dress appropriately, it's not usually freezing cold in December and the season's festivities and lights bring an energy to the city that is particularly memorable. Unlike later in the winter, December in New York can sometimes be quite mild. Additionally, don't expect a white Christmas for your December visit—surprisingly, snow in December isn't especially common. Even a bus ride down Fifth Avenue counts as a holiday excursion in December, but there are a few can't miss NYC sites in winter. Rockettes Radio City Christmas Spectacular (through January): The Rockettes are a holiday tradition in New York City. Their Christmas show includes exciting choreography—plus Santa! Bryant Park Winter Village (through March): Bryant Park's holiday celebration includes a 17,000 square-foot ice rink as well as more than 100 holiday shops. The rink is open through March, but the shops close down in early January making December a prime time to visit for last-minute Christmas shopping. Holiday store windows (through January): Half the fun of holiday shopping in New York City is ogling the festive displays that the city's top department stores carefully arrange in their windows. Many stores and restaurants will be closed on Christmas Day, but some are open on Christmas Eve and Christmas Day. It's a must to make reservations in advance if you plan to eat somewhere special that day—particularly if there are more than one or two people in your party. You can usually see the Radio City Spectacular on Christmas Eve and Christmas Day, and the Central Park Zoo and Empire State Building are open 365 days a year, making those good spots to visit if you're in town over Christmas. It's a bit cliche, but if you don't celebrate Christmas, it's a good time to head to Chinatown for a meal on Christmas Day or even catch a movie at one of New York City's special movie theaters; it's what many Jewish families living in New York City do if they haven't left the city for the holidays. A great way to commemorate your December visit to NYC is a photo with Santa. The Plaza Santa is highly recommended if you want a good-spirited choice that won't care if you have kids or not.